Charts only this week. 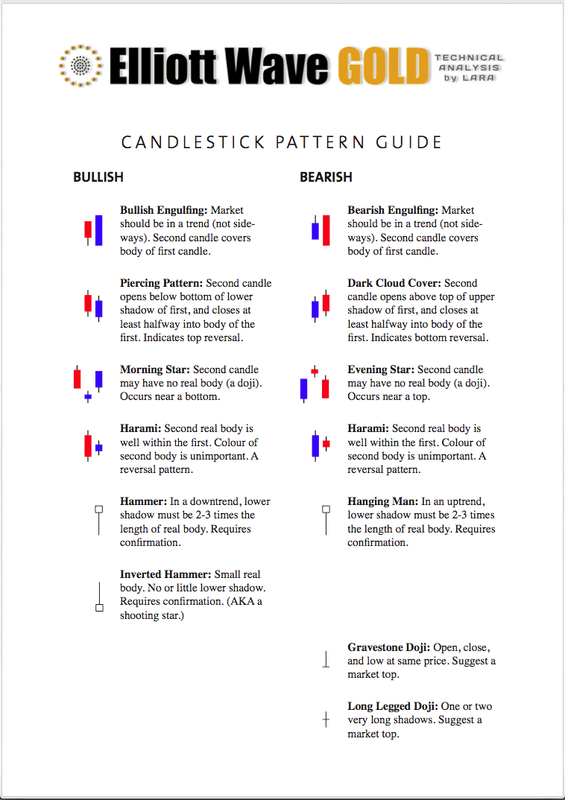 To see a full write up look at last week’s analysis here. Still the most likely scenario. 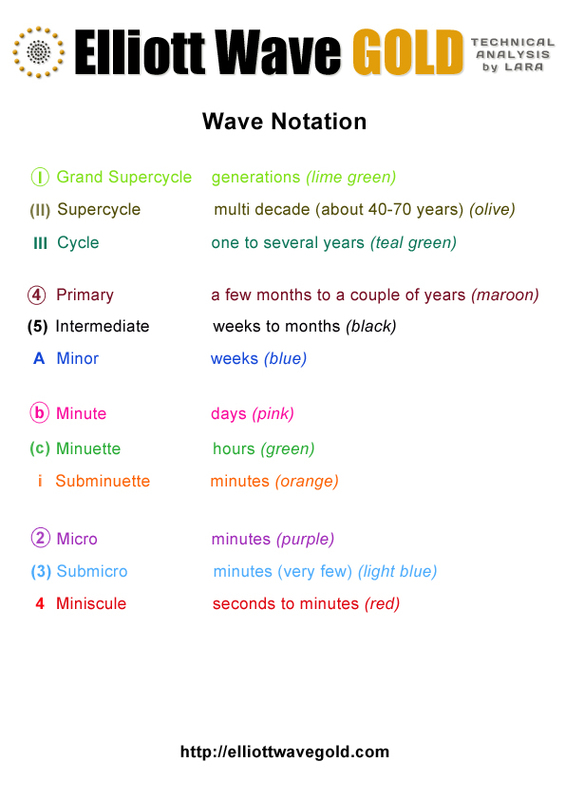 Minor wave 2 would be in proportion to minor wave 1. At 24.14 minute wave c would reach 1.618 the length of minute wave a. Probably the least likely scenario. 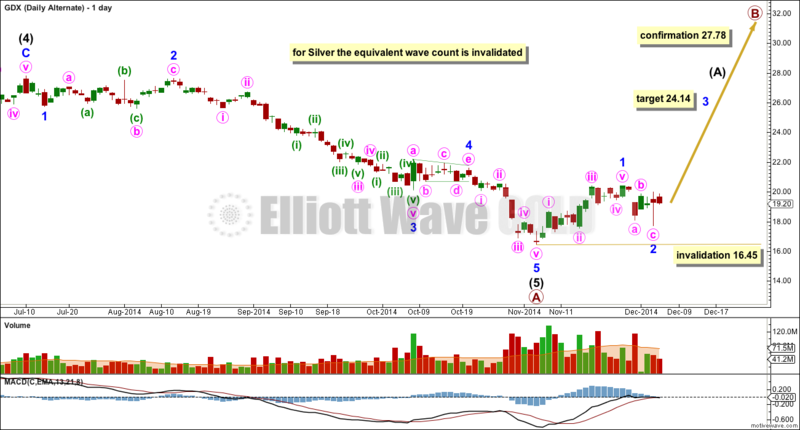 The equivalent wave count for Silver is invalidated, and this idea does not work well at all for Gold. This is possible, and also possible for Gold and Silver. 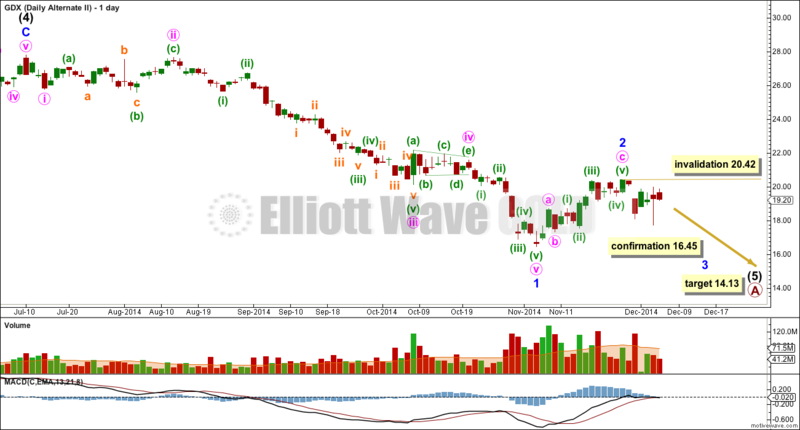 But minor wave 2 is too shallow and quick. It lacks proportion. This is unlikely. GDX not following Gold and Silver. Is wave 2 over? I normally don’t pay much attention to your GDX reports, because I trade gold. However, the comment below the “Second Alternate Wave Count” chart concerned me. 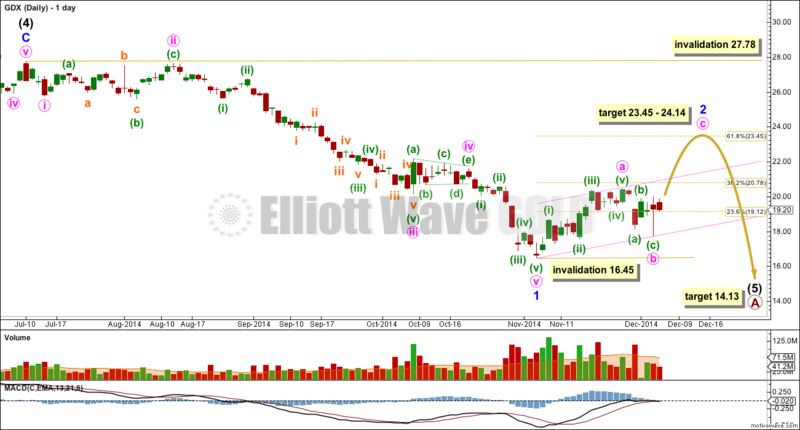 Are you implying that there is a real, although unlikely, possibility that gold is already in intermediate wave 3? I thought that you have ruled this out? Thanks. Not totally. Its technically possible, but extremely unlikely.